Looking for adorable cat checks? Take your pick of the set of four feline poses that best reflects your own cat, or enjoy a bit of cat humor checks that taps into the whole world of cats. 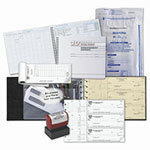 All these personal checks come with matching checkbook covers and address labels! Some people say that if it weren't for cats, there would be no Internet. People love their cats and the silly things they do. If that furry feline is your very best friend, you'll want cat & kitten checks that reflect that feeling. There is nothing more appealing than kittens and cats doing what they do. Natural clowns, cuddly companions or proudly independent individualists - often all in the same 15 minutes - you gotta love them. If you really can't live without a cat for another minute, be sure to visit the ASPCA to see where you can adopt a cat. Thank you for shopping at Value Checks where you can buy cheap checks online with free shipping and save money!